YO,Waddup scratchers!me,Jeff,i am sooo back in a new account! i decided to make a new account!for kewl kontent follow me,really,no b8 m8. 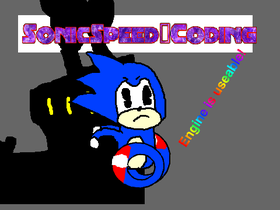 So,my new Fase is sonic the hedgehog,(and sanic da hejhogg)which is why my new name is sonicspeed coding.